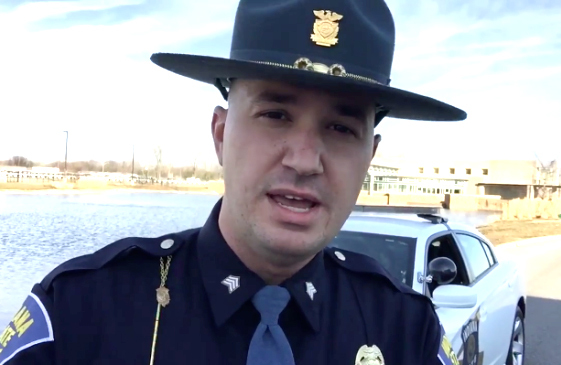 INDIANA — John Perrine, a public information officer with the Indiana State Police made a discovery recently that he believes will prevent road rage and make for safer roadways across the country. “It’s called a turn signal,” Perrine says in a video posted on his Facebook account. Throughout the extremely sarcastic video, Perrine explains to viewers the different features of a trun signal and how they will indicate to others on the roadways where you plan on maneuvering your vehicle. “It’s right here next to your steering wheel. It may require that you put down your coffee or your cell phone or whatever you have in your hands so that you can safely drive,” Perrine explains. The officer also says that not only is using a turn signal something that is required by law, but it’s also courteous to the other drivers and pedestrians on the road. Since posting the video Friday afternoon, it’s been viewed on Facebook more than 11 million times and become something of a national hit. Various news outlets and websites have linked to the video which has been shared more than 235,000 times.